“Army scientists proved a decades-old prediction that mixing TNT and novel aluminum nanoparticles can significantly enhance energetic performance. This explosive discovery is expected to extend the reach of U.S. Army firepower in battle. 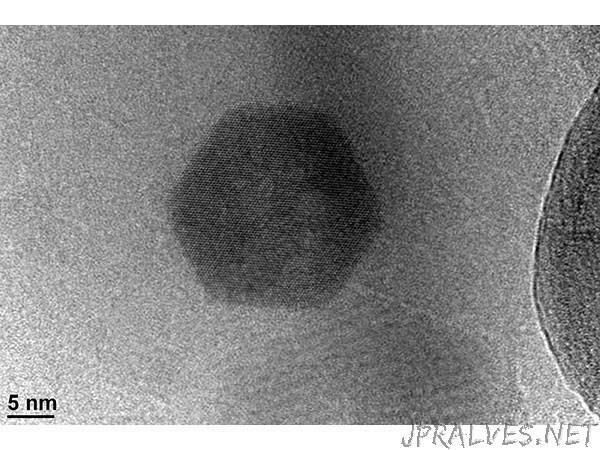 The structure of the AIH-coated aluminum nanoparticles was revealed for the very first time through high resolution transmission electron (TEM) microscopy performed by ARL’s Dr. Chi-Chin Wu, a materials researcher who leads the plasma research for the lab’s Energetic Materials Science Branch in the Lethality Division of Weapons and Materials Research Directorate. Details of this breakthrough work are described in the team’s May 28 published paper “Improving the Explosive Performance of Aluminum Nanoparticles with Aluminum Iodate Hexahydrate (AIH)” by Jennifer L. Gottfried, Dylan K. Smith, Chi-Chin Wu, and Michelle L. Pantoya in the high-impact journal Scientific Reports (available online at www.nature.com/articles/s41598-018-26390-9).